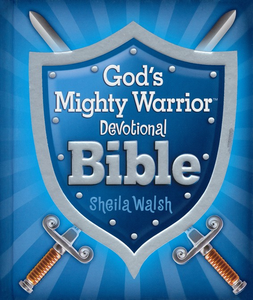 This popular devotional Bible teaches boys how to be the mighty warriors God created them to be. Even though they are often filled with energy and imagination, boys may not always feel very mighty. 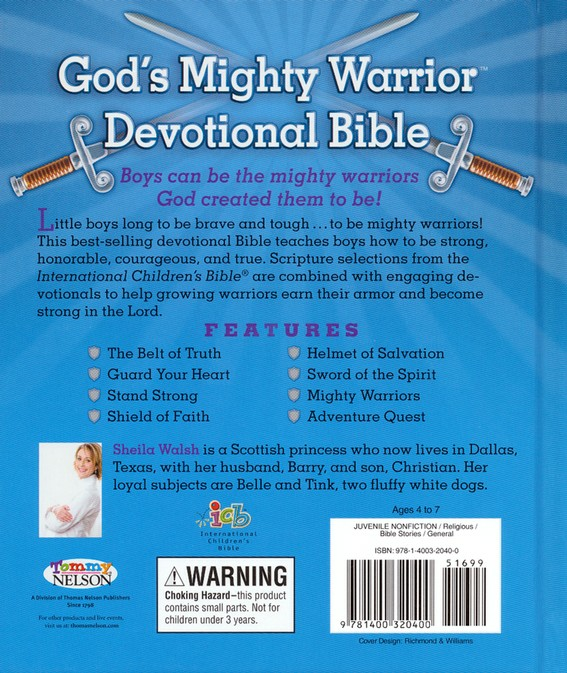 With this devotional Bible in storybook format, boys can learn how to be strong, honorable, courageous, and true. Selections of Bible text from the International Children's Bible are combined with delightful articles to help a budding warrior earn his armor and grow strong in the Lord. If you should find a lower price online, place your Bibles by the Case order, and in the "Comments" include the link to the lower price - we will match the price, and give you $10 Off your order for letting us know! And, we'll send you an updated receipt! Just a few notes on price matches: the price needs to still be available, the item in stock and you need to be able to order a full case. We offer a 100% 30-Day money back guarantee! View our return policy and instructions. Safe Secure Shopping! Your order and credit card information will be transmitted with the highest level of encryption and security. We accept VISA, MasterCard, American Express, Discover and Check or Money Order for payment. To Subscribe to our free email newsletter, just enter your email address below and click subscribe.